This an excellant upgrade to an old system or when upgrading your A/C System. Original switches only worked as a low pressure switch. This Binary Switch is very similar to O.E. located on Receiver Dryer. Will not allow compressor to run when system maybe low in Refrigerant and also shuts compressor off if discharge pressure skyrockets because of an obstruction in system. 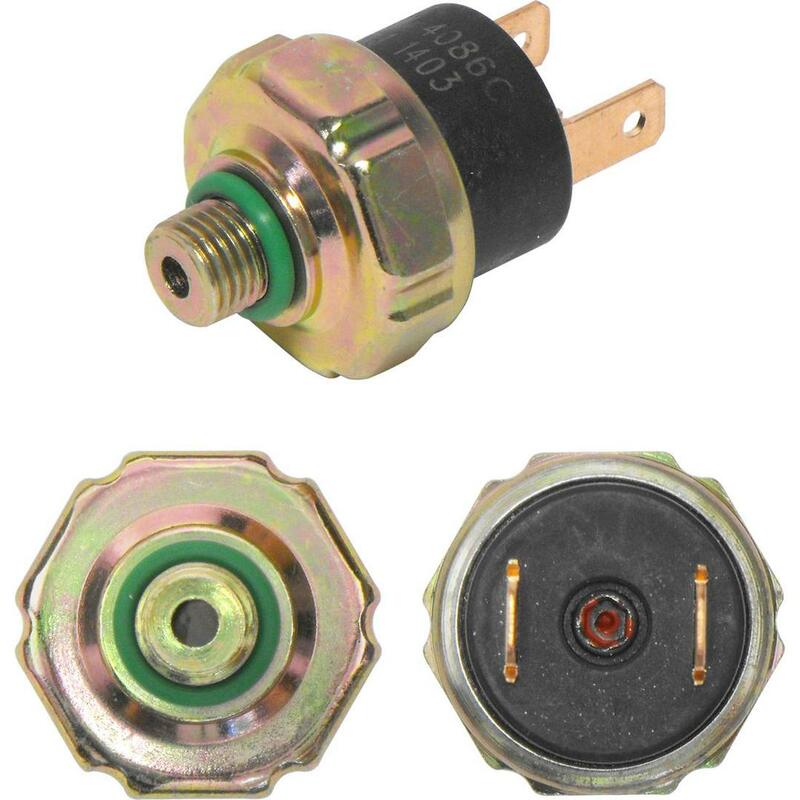 Works with all Receiver Dryer Numbers we offer, RD10003C, BPE6660,BPE6661, along with all OE Receiver Dryers that had provision for low pressure switch. Designed for use with R134 Freon and a must change when retrofitting from R12 to R134 Freon.